Heavy Rain for PS3 is probably one of the most engrossing and involving games that you will play this year. As mentioned in our review of the game, it is a unique and emotionally involving experience that should not be missed. If you were one of the fans who pre-ordered the game via a specific retailer or had purchased the special edition of the game, then chances are you got a download voucher for “The Taxidermist”, the first downloadable episode from the Heavy Rain Chronicles. Be advised that you should definitely read our full Heavy Rain review and actually play the title in order to fully enjoy this DLC and avoid obvious spoilers. I will readily admit that when starting Taxidermist, it has been a few weeks since my last Heavy Rain playthrough, and there was doubt in my mind that it will be rather difficult to retain the feelings of atmosphere and immersion from the full game via a short DLC story. But boy, was I wrong. The DLC covers a single story in the life of Madison Page, one of the main characters from the full game. This level has actually been showcased in many trailers and previews of Heavy Rain, so some of you may already be familiar with the setting. It is pouring rain, and the man, a Taxidermist by profession, is a new suspect in the investigation. For reader reference, Taxidermy is the act of mounting or reproducing dead animals for display (e.g. as hunting trophies) or for other sources of study. Taxidermy can be done on all vertebrate species of animals including mammals, birds, reptiles, and amphibians. Madison is on the hunt for the Origami Killer, and her investigation leads her to the suspect’s home. Nobody appears to be home, but a locked door never stopped a curious journalist. You help Madison find her way into the home, and a gruesome discovery leads to a possible showdown or a tragic death. Without giving much away, the setting and atmosphere are very unsettling and completely on-par with the full game (and similarly horrifying to an experience that Madison has in the full game). I was caught off guard at how quickly the game drew me back into its gloomy and tense world. It’s as if I never took a break from playing the full game. Even though the DLC is a bit short, its length completely depends on your play style and how much of the house and surrounding area you’d like to explore. The DLC also offers a whooping 5 different endings, which means tons of replay value. The presentation and controls are much like the full game, so players should be instantly familiar with the mechanics and various interaction options. The DLC is considered to be a prequel, and as such the story is considered to be standalone, which allows it to be spoiler-free and have a variety of endings that could not be possibly imported into the full game. As you help Madison in exploring the house and escaping/surviving the subsequent encounter, the QTE controls and controller motion inputs are in tact and make an appearance. The presentation remains top-notch, with the familiar haunting musical score and excellent graphical presentation. One oddity in this episode is Madison’s voice, which seems vastly different from the full game and is likely an early recording of her acting. This just a minor issue though, and you quickly adjust to her new voice, especially if it has been a while since you played her character in Heavy Rain. The Taxidermist is very much like one of the chapters from Heavy Rain packed into a DLC of its own. There are multiple endings, a fresh story experience and a unique look into one of the characters from the main game. The presentation remains great, and gameplay still feels freshly unique and engaging. 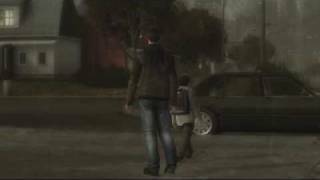 It is a great experience that does not make you feel as if Heavy Rain developers purposefully excluded this chapter from the game, to force fans to buy it later. If you enjoyed everything that was unique and engaging about Heavy Rain, then The Taxidermist will not disappoint. It is a good DLC episode that’s worth your money. Hehe, I highly doubt it. It will take at least 3-4 more episodes to be worth a bundle price. soon to be bundled in GOT edition. ^_^ Good review.